By Rebekah Rast — In the 1850s droves of gold-hunters hoping to make it rich rushed into what would later be established as the Golden State. The pristine beaches, vast mountains and plenty of opportunity persuaded some to stay in the state. 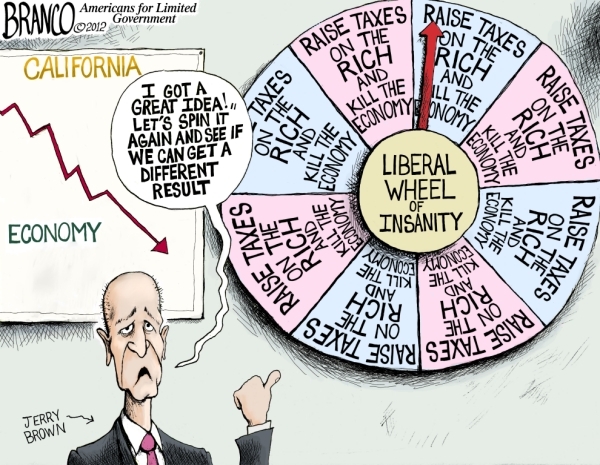 But now, California is facing a different kind of rush—one that is causing people to pick up and leave. These are some unfortunate statistics coming from a state with the ninth largest economy in the world. The icing on the cake could be recent reporting from CNBC that there is a shortage of farm labor workers in California this year and some crops are left unattended and unpicked. It is not news that these jobs are typically filled by California’s southern neighbor. Is a bad economic climate keeping them away as well? The repercussions of this fiscal mess are being seen in cities like Stockton, Mammoth Lakes and San Bernardino—all of which have recently declared bankruptcy. Municipalities in the state are overrun with pension liabilities from union contracts they simply cannot afford. Declaring bankruptcy allows city governments to rebuild, reorganize and renegotiate their obligations. For example, the city of Vallejo in northern California came out of bankruptcy almost a year ago. Though the number of cities workers and employees are greatly reduced, home prices have dropped and many businesses were forced to close their doors, the city now has a feasible plan to work itself back into prosperity. The city of Vallejo is not alone. In June, voters of San Diego and San Jose overwhelming supported ballot initiatives designed to help balance city budgets by cutting retirement benefits for city workers. Taking hints from the voters of these cities, there is hope for a state initiative on the ballot this November on pension reform. Maybe there is some hope and the tarnished reputation of California can be golden once again.